Some spirits are associated with particular seasons – bourbon seems to appear in a lot of autumn-related menus, tequila often shows up in the summer – but a well-made cocktail can be enjoyable any time of the year. Gin is often thought of as being drank in the summer, with classics like a Gin & Tonic, Gin Rickey, Tom Collins, or even a Gimlet being oft-associated with the warmer months. Despite that perception, we find the characteristics of gin to be especially enjoyable during winter months. Gin starts its life as a clear, neutral spirit before it is introduced to a variety of botanicals which impart the deep, herbal, sometimes woody character that it is known for. The predominant ingredient is juniper berries, from a specifies of conifer, which lend gin its pine-like scent. So, if your uncle says he can't abide by gin because of it smelling like a Christmas tree, he may have been right in spirit if not exactly correct. It is precisely this flavor profile which makes gin a great addition to the holiday and winter bar menu. We recently made a variation on an old-fashioned, usually made with rye or bourbon, with gin and found it to be a delightful winter cocktail. Best of all, the unique flavor profile of maple paired wonderfully with the gin, giving the drink a uniquely Vermont twist. We muddled orange peel with the maple sugar and orange bitters to create a balanced drink that marries the sweetness of maple, the herbal flavors of gin, and the brightness of the orange in a smooth and refreshing cocktail. Even more refreshing, however, is our Tap & Tonic, which would be perfect after a long day skiing or snowshoeing. 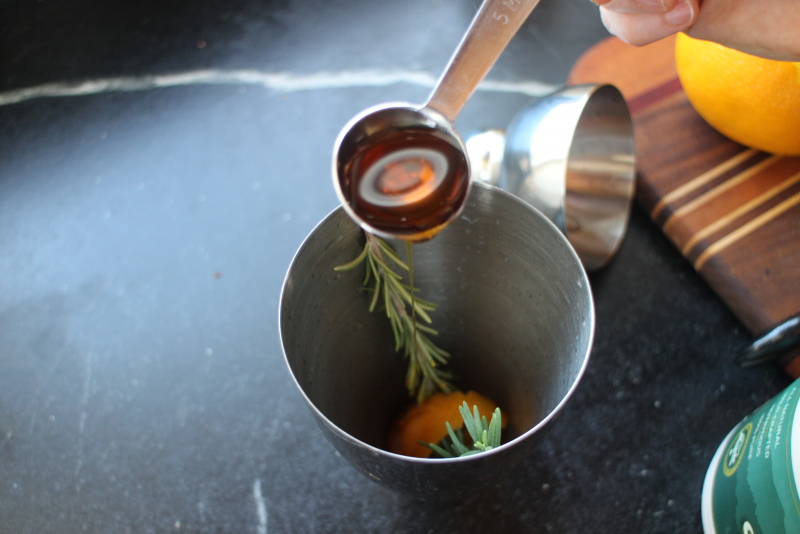 For this version, we wanted to play up the herbal flavors present in the gin by adding fresh rosemary to our drink both in the cocktail shaker and as garnish. 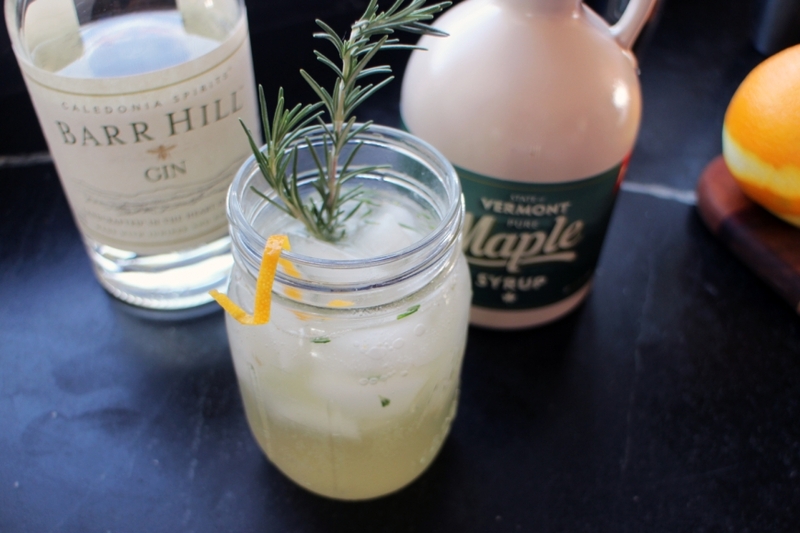 To get the most out of the rosemary, we enlisted our muddler yet again, choosing to muddle rosemary with a length of orange peel and Grade A Dark Color, Robust Flavor Vermont maple syrup in our shaker. We then add our gin and ice, shake for 20 seconds, and strain into a highball glass filled with ice. Top the glass up with chilled tonic water, add a sprig of fresh rosemary, and enjoy! 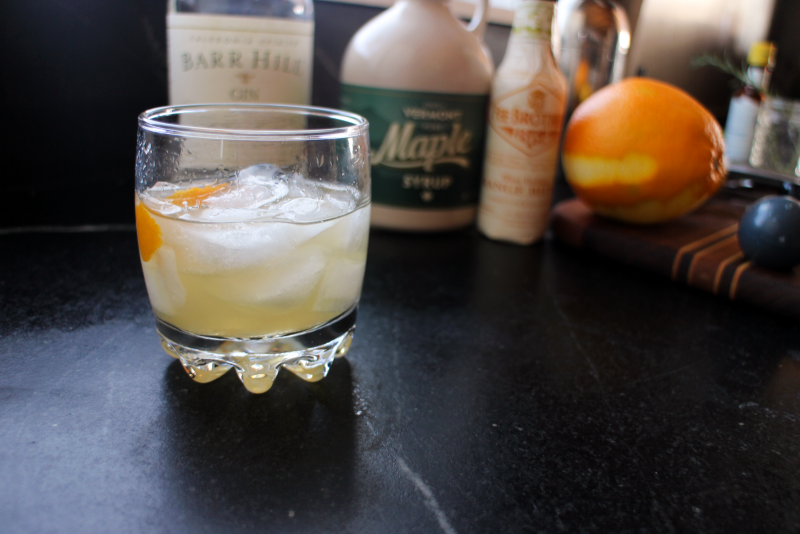 We used Caledonia Spirit's Barr Hill Gin for these recipes but here in Vermont we're fortunate to have some great gins from Stonecutter Spirits, Appalachian Gap Distillery, Green Mountain Distillers, SILO Distillery, and Smuggler's Notch Distillery. 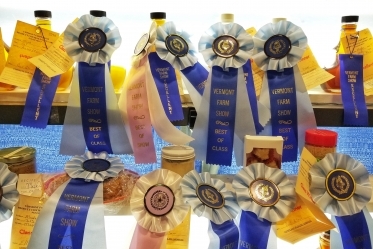 Check out our friends at the Distilled Spirits Council of Vermont to find out more! Full Recipes found in our recipe listings on our site or click below to open them.